Cuisine Kathleen: Flashback and Foodie Friday.. Please join Gollum to see the other entries..
And Krazy Kitchen for What did you bake today.. So for Foodie Friday...have some cake, with fruit. 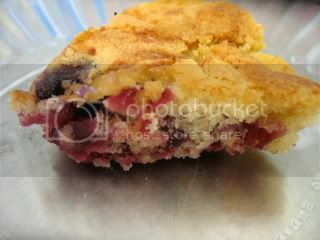 My mom always made this cake during the summer with whatever fruit was in season.. Cream butter and add sugar and vanilla. Spoon big spoonfuls into greased pan. Spread batter with a spatula to cover the pan. Sprinkle with cinnamon sugar to taste. Dough will rise up and bake around the fruit..
Bake till done. Depends on the pan. Check after 30 min. I had enough dough to make this rectangular tart pan, and 3 small tart pans..
Slice the eggplant thin, press between paper towels..
dip in egg wash, then flavored crumbs and fry till crisp. Drain, top with sauce and mozzarella..Bake will cheese is melted..
Something to do with all those eggplants you are harvesting.. Thanks for visiting...have a wonderful weekend! Don't forget the Let There Be White Part II tablesetting event on Aug 25th..everyone is welcome! I didn't know there was another white event! Count me in! Go check out Pier One, they had some pretty whites, too! The cake looks great! So does the eggplant and I don't even like eggplant! I remember it though! Your cakes look so delicious and cute! The pizza sounds wonderful. I love the bounty of summer veggies. Thanks for playing along with What Did I Bake Today. I hope to see you again next week! Kathleen, your fruit torte looks so delicious ... I agree with Suzy, the rectangular pan give an elegant look. The eggplant appetizer looks fantastic. Thanks for the recipes Kathleen. 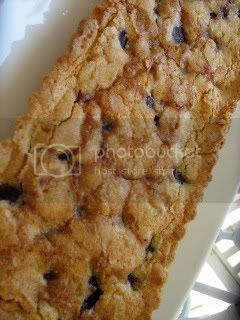 I've been looking for a sweet but health dessert for my "sweet tooth" husband! Being on the west coast if I waited until the day of to post I would already be 3 hours behind. I never know what day it is anyways. I like the idea of this dessert using what ever is on hand. There is always something in the kitchen that I should use up quickly. OMGosh..these look so delicious. I NEED to make that cake...TODAY! I was just Kitchen Bouquet... what a lovely name for a blog as well as yours! 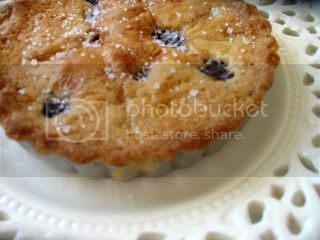 Love her Blueberry pie and your fruit desert looks soo delicious also!!! You girls sure have fun! 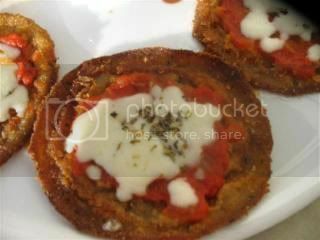 I could eat a whole plate of these yummy eggplant appetizers. I've got a little mozzarella I need to use up. Better get myself out to the kitchen. My mouth is watering. I hope to see you at Crock Pot Wednesdays at diningwithdebbie.blogspot.com this week. Mr. Linky is up and ready for you. Yum. That looks great. I love the idea of using what you have on hand. I'll have to give it a try. What a wonderful-sounding recipe from your mother and so versatile. I'm sure I would love the cherry version the best. Everything looks so good..I'm just making the toret for the first time as I'm commenting..the recipe I used didn't have vanilla, hope it doesn't make too much a difference!! Thank Heaven for desserts, and the eggplant appeteaser. Both look like a warm welcome on a plate. I received some lovely eggplant in my veggie box this week, so your eggplant appetizer is timely. I have a ton of blueberries from the patch, will be making the cake too! Thanks for sharing Kathleen.